This is the most exciting bit of local news I’ve seen in years. The worldwide Ismaili Muslim community announced Wednesday it is moving forward with plans to make Houston the site of its first U.S. cultural center and to create an architectural landmark in the heart of the city that will reflect a spirit of tolerance, diversity and learning. London-based Farshid Moussavi Architecture has won the commission to design the important new building on a high-profile, 11-acre site at the southeast corner of Allen Parkway and Montrose Boulevard. A rising star who also has taught for more than a decade at her alma mater, Harvard University, she was selected from a star-studded selection list of finalists that included David Chipperfield, Jeanne Gang and Rem Koolhaas. “The rigorous competition was a vivid illustration of the global stature that an Ismaili Center holds in the architectural and built environment community, and of the attractiveness of Houston as a destination city for world-scale architecture,” said Dr. Barkat Fazal, president of the Ismaili Council for USA. Houston’s Ismaili Center, the seventh globally, will be the institutional, intellectual and cultural center for the Shia Ismaili Muslim community in the U.S. The Aga Khan Foundation purchased the Houston property in 2006 and in 2011 donated the seven monumental artworks — Jaume Plensa’s “Tolerance” sculptures of kneeling figures — that are situated just across the street in Buffalo Bayou Park. This site has been vacant for twelve years now, since the old Robinson Warehouse was demolished to make room for this very long-awaited Ismaili Center. I have no idea what too it so long to begin to happen – as the story notes, it will still be a few years before construction is done – but after at least one false start, here we finally are. It’s almost as hard for me to believe this site will finally be redeveloped as it is for me to believe that this amazing piece of real estate has been left fallow for over a decade. Maybe now some other famous empty lots, including one just up the road a bit on Allen Parkway, will finally see new life as well. I wish them all good luck. The Harris County Flood Control District on Monday released its complete list of projects that would be funded by the county’s $2.5 billion flood infrastructure bond proposal, two days before early voting on the measure begins. The 237 projects include $1.2 billion for channel improvements, $401 million for detention basins, $242 million for floodplain land acquisition, $12.5 million for new floodplain mapping and $1.25 million for an improved early flood warning system. Matt Zeve, the flood control district’s operations director, said the vast majority of projects will address problems engineers identified years or decades ago but lacked the funding to tackle. The flood control district’s budget totals just $120 million annually. “It’s always been OK, how do we afford to solve these problems?” Zeve said. “With the bond, we’ll have funds to solve some of these drainage and flooding issues. 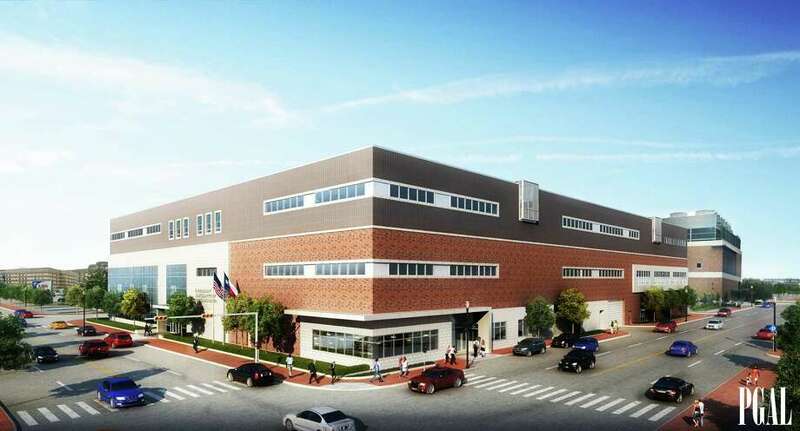 The bond also would put $184 million, coupled with more than $500 million in outside funding, to purchase around 3,600 buildings in the floodplain. It would not pay for a third reservoir to complement the Addicks and Barker reservoirs in west Houston, but would chip in $750,000 to help the Army Corps of Engineers study the idea. Thirty-eight projects were added based on ideas from residents at more than two-dozen public meetings this summer. These include $6 million to improve flow in Horsepen Bayou, $15 million to do the same in Brays Bayou and $30 million to design and build new bridges over Buffalo Bayou. Here’s the updated projects list. I’m sure there will be more added as we go along. I don’t have a lot to add at this time, as I haven’t had a chance to read through it all. The main thing you need to know right now is that early voting for the referendum begins today and runs through the 21st. Hours are a bit odd, so check the map and schedule before you head out. Big changes coming to downtown. 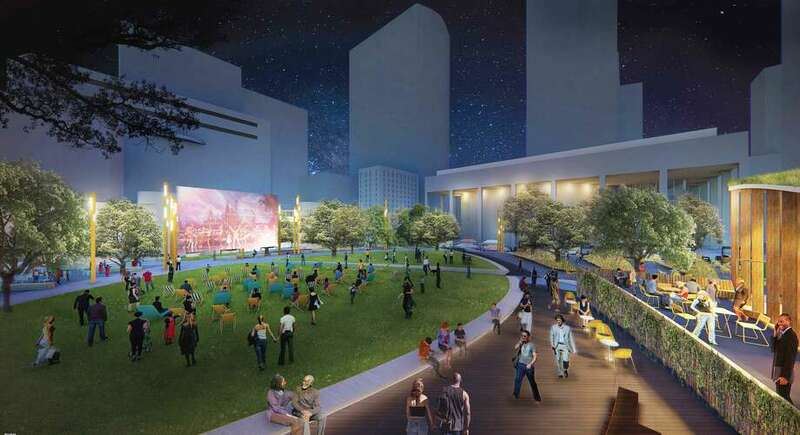 Jones Plaza, the often-empty, 1.5-acre public space at the heart of Houston’s Theater District, may finally become a true people magnet courtesy of the second face-lift in its 51-year history. This time, Houston First Corporation, which operates the plaza for the city, hopes to create an event and dining area that reflects the artful vitality of the plaza’s prime location — a place that will be welcoming day and night for area employees as well as theater patrons and downtown residents. Officials said the redevelopment will cost about $25 million, most of which will be raised privately. The Downtown Redevelopment Authority has contributed $5 million. Houston Astros owner Jim Crane and his wife Whitney, along with the Astros Foundation, have contributed $1 million and will spearhead a capital campaign to raise the remaining funds. With construction slated to begin next month, the project could be complete by late 2020. Mayor Sylvester Turner called the plaza project a “game-changer” for downtown. A major initiative of the Theater District Master Plan adopted in 2015, this redevelopment may finally solve a conundrum that has dogged the plaza from since it opened in 1967, in spite of its location next to the Alley Theatre and Jones Hall. Jones Plaza has long been like a forgotten ornament in the city’s jewel box because it was built above the district’s parking garage. Its stepped plaza design, necessary to accommodate the structure below, made access difficult for some. And it’s always been a hard place to beautify with shade trees and plants, since there’s not much soil to work with. The site was best utilized from the late 1980s through the 1990s as the venue for Thursday night Party on the Plaza concerts that were not a particularly good fit for the surrounding fine arts venues. The Party on the Plaza brand has since been revived and relocated to Avenida Houston in front of the George R. Brown Convention Center. I have some fond memories of those old Party on the Plaza events. Sure would be nice to find a purpose for Jones Plaza again. I look forward to seeing how this turns out. I can’t quite wrp my mind around the scope of it. I suspect a lot of us feel the same way. Birds flitting in and out of the grass and trees along this strip of marsh pay no heed to the roar from interstates 45 and 10 on the horizon, but to Houston Parks Board officials the sound is an ominous reminder of what could come. Defenders of this long-sought “linear park” that leads from the Heights to downtown Houston now see a threat from the Texas Department of Transportation and its mammoth, once-in-a-generation project to relieve chronic congestion along I-45 and on the broader downtown highway system. The project, already years in the making, reflects unprecedented levels of listening by TxDOT, which fairly or not has a reputation of building through communities rather than with them. Yet concerns linger over this pristine spot on White Oak Bayou, which TxDOT would criss-cross with seven new spans under the current version of its ambitious plan to build Houston’s freeway of the future. “If that happens, the gateway to White Oak Bayou Greenway will be a freeway underpass,” said Chip Place, director of capital programs for the Houston Parks Board. The parks board and a handful of other groups — joined by elected officials — have raised these and a number of other issues with the freeway redesign following the release of the project’s draft environmental report. Disenfranchised communities fear rebuilding the freeway and its connector ramps will further cut them off from economic gains so that other people can shave a minute or two from their daily commutes. Their message is clear: Houston has one chance in five decades to remake the spine of the region’s north-south traffic movements. Good isn’t good enough. It has to address everything to the best of everyone’s abilities. You can read the rest. We’re two or three years out from the start of construction, which is on a ten-year timeline. I’ll stipulate that TxDOT has done a good job of soliciting and incorporating public input on this thing. It’s just that I don’t think there’s any way to do this that doesn’t fundamentally change the character of every part of town the redesigned highways pass through, and not in a good way – I think the best we can hope for is that it doesn’t do much harm. Now if you’ll excuse me, I’m going to go bury my head in the sand for a little while. By the end of the year. We think. Most major construction along the main lanes of U.S. 290 will end in 2018. Every new wide lane open. Every bridge built. Eleven lanes, including a reversible HOV lane, from Loop 610 to Texas 6, and nine lanes from Texas 6 to Waller County. All open by the end of 2018. The last segments to start construction, west of the Grand Parkway, will be the first to open under TxDOT’s current plans. Leong said that stretch, the easiest to build because it required the fewest bridges and fewest utility relocations, likely will open in March or April. About six months later, if schedules proceed as anticipated, the freeway should be fully open from Loop 610 to the Sam Houston Tollway – including the lengthy work to rebuild all the connections to and from Loop 610, Interstate 10 and frontage road entrances and exits. Officials said work will speed ahead and the project will be in finishing touches phase by the time Houstonians ring in 2019. Crews also are close to opening a major component of the Loop 610 interchange, which will reconnect the HOV lane. The work also coincides with openings planned in January for some of the frontage road access. “This job is going to open up a lot of things next month,” said Hamoon Bahrami, project engineer for the U.S. 290 project. The openings also allow work to concentrate in the center of the interchange, where one of the last steps will be returning the connection from northbound Loop 610 to westbound U.S. 290 to the interior of the interchange. Of the major connections between U.S. 290, Loop 610 and I-10, it is the last piece. The final few months, however, will not be pain-free. In some spots, crews still are hanging beams for some overpasses, which will lead to highway closings and detours. Lanes will remain narrowed in spots for months to come. It’s ending just in time for the 59/610 interchange work to begin. You didn’t think it was going to be all smooth sailing, did you? Be that as it may, enjoy whatever traffic relief you get when the new and improved 290 opens. Just remember it took less than ten years for I-10 to get all congested again. Happy trails! Five hundred is the new one hundred. The Harris County Commissioners Court voted unanimously on Tuesday to make significant changes to the way the county regulates new development, including a slew of new restrictions in Hurricane Harvey’s wake that officials say are necessary to prepare the Houston area for future flooding events. See here for the background. This would take effect on January 1, and the idea has support from developers’ groups. A lot more than this will be needed, but it’s a step in the right direction. Nearly three months after Hurricane Harvey, Harris County is proposing using 500-year floodplains instead of 100-year floodplains for new development, the first significant overhaul of county elevation requirements in nearly two decades. The regulations, which still must be approved by Commissioners Court, would force developers to build new homes eight feet higher than previously required in some flood-prone areas. They would also, for the first time, open up a broader geographic area to regulation by forcing developers building in 500-year floodplains to meet stricter elevation standards. Currently, there is little regulation outside the 100-year floodplains. The newly proposed regulations focus on the booming unincorporated region as opposed to areas within Houston city limits. 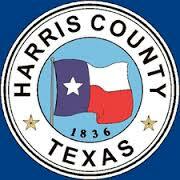 Unincorporated Harris County has added nearly 1 million people since 2000, more than three-quarters of the growth in the county since 2000. For some areas along the San Jacinto River, Spring Creek and Cypress Creek, the difference between the new and old regulations — 500-year versus 100-year flood levels — could be several feet of elevation required for new homes, which could increase the cost of development by thousands of dollars. You can see the proposed new regulations here. This is in line with the larger vision County Judge Ed Emmett proposed in September. If this winds up making some new development more expensive, that’s fine. All that’s doing is more accurately pricing in the flood risk. As the story notes, though, the newest construction in the unincorporated county mostly escaped destruction during Harvey. It’s existing development that was the hardest hit, and that’s going to be a much more difficult and expensive problem to solve. And as Jim Blackburn says in the story, the 500 year zone may not be big enough to address this. Still, this is a positive step, and the Court will take up the proposal in early December. Meanwhile, the proposed regulations would not govern development in the city of Houston. City regulations require new homes built in 100-year floodplains to be elevated one foot above the 100-year flood level — less than the 18 inches that the county currently requires. Houston Chief Resilience Officer and “flood czar” Steve Costello said the city has not yet made any proposals regarding new floodplains, but has called a meeting in December among city staff to start the discussion. He said the city would consider the county’s changes. I agree that the city should be in line with the county. I hope we have been involved in the discussion over these changes. Just stay away. Far, far away. Houston’s worst chokepoint is about to be a construction zone for the next five or six years, in the hopes that drivers eventually reap the rewards. Federal, state and local lawmakers gathered Monday on the HOV ramp overlooking the Loop 610 interchange with Interstate 69 near Uptown, to kick off reconstruction of the interchange. Major work is expected to start early next year, with some construction already noticeable, according to Texas Department of Transportation officials. 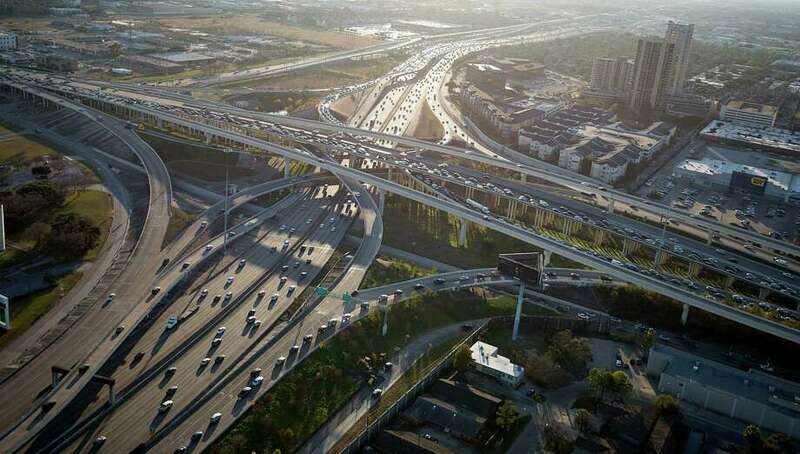 The interchange is the crossing point for most congested roadway segment in Texas – Loop 610 from I-69 to Interstate 10 – and the third-most-congested segment in the state, along I-69 from Loop 610 to Texas 288. As a result, officials say the interchange is Texas’ worst for slowing traffic to a crawl. “This project is going to help change that,” said Quincy Allen, district engineer for TxDOT in Houston. The interchange rebuild will make all the ramps between the two freeways in all directions two lanes, add shoulders and rebuild the main lanes of Loop 610 and make other design changes that officials said will help traffic flow through the area. Work is expected to take six years. Emphasis mine. My in-laws live near this interchange. We may need to tell them that they have to move. I don’t have any advice to offer the poor wretches who have to travel this way, but I do have one stray observation: It sure would be nice to have some alternate transit options through that area, which don’t depend on road capacity, wouldn’t it? You know, like the University and Uptown rail lines. Maybe next time. In the meantime, avoid if you can. If you can’t, may God have mercy on your soul. We remain in a craft beer renaissance. Buffalo Bayou Brewing Co., which launched nearly six years ago with a beer called 1836 honoring the date of Houston’s founding, is preparing to break ground on a $14 million brewery and restaurant that would be one of the largest and most visible of its kind in the city. The announcement marks another milestone for the industry, as breweries continue to pop up and civic boosters market them more heavily. The three-story, 28,000-square-foot Buffalo Bayou Brewing facility is planned for Sawyer Yards, an artist studio-anchored development just south of Interstate 10 near downtown, the Woodland Heights and other bustling neighborhoods. The brewery would boost production capacity significantly and take fuller advantage of state laws that allow it to sell some beer on-site. Founder Rassul Zarinfar said his business outgrew its original location, a converted warehouse near Memorial Park that is expected to ship about 8,000 barrels this year. The new facility, 3 miles away and expected to open in 2018, will provide immediate relief and could be expanded over time to a 50,000-barrel capacity. The company has begun the permitting process and expects construction to take nine months. The new site will include a taproom and 200-seat restaurant that would be larger and more comfortable for visitors, who currently squeeze into an un-air-conditioned corner of the brewery and a small outdoor patio to sample the wares and snack from food trucks. Full- and part-time employment would approximately double, to about 100, Zarinfar said. [Last month], Houston tourism officials began selling one-day, three-day and 90-day Brew Passes at VisitHouston.com that purchasers can redeem for a sample flight of beers and other discounts at six Houston breweries. Maureen Haley, director of strategic tourism initiatives at Visit Houston, said locals and tourists alike seek out unique experiences. “As more breweries that have smaller production get into the game, you have to go there to get the beer,” she said. I’ve been to a few events at the current Buffalo Bayou location. Good beer, but definitely crowded and loud as a result, and parking – it’s on one of the narrow streets a block south of I-10 between Shepherd and TC Jester – is a problem. The new location sounds great, and I look forward to visiting. Also, I need to get a couple of those three-day Brew Passes for the next time my dad is in town. Best of luck with the construction, y’all. Eventually, everything will be used for extra highway capacity. For people in western Harris and Fort Bend counties, now is the time to sit down with your toddler and ask what kind of Interstate 10 they’d like to have. Texas Department of Transportation officials, as required by federal policies, are seeking environmental clearance on the project to build two managed lanes along I-10 from Texas 6 to FM 359 in Waller County. The project is expected to begin construction in mid-2030. That’s not a typo. TxDOT currently plans to open bids on the project in April 2030. Right around the time actor Channing Tatum turns 50. The project will require about 45 acres of right of way in Fort Bend and Waller counties as the freeway is widened. In some cases, homes and businesses will be affected by the proposed widening. But don’t worry, no Serious People will find anything to object about that, because it is a Road Project, and That’s Just How These Things Work. Don’t worry, there will be plenty of opportunities to give feedback going forward. If you’re lucky, this will get dragged out in roughly the same way the I-45 widening project has been. But be prepared to gird your loins anyway. A plan for faster bus service along Post Oak, the centerpiece of a larger project to remake Uptown’s Main Street, continues to divide its supporters and transit skeptics, even as work accelerates and commuters brace for limited lanes through the holiday season. The latest dust-up over the dedicated lanes is over a request to the Transportation Policy Council of the Houston-Galveston Area Council to commit an additional $15.9 million in federal funding to the project. 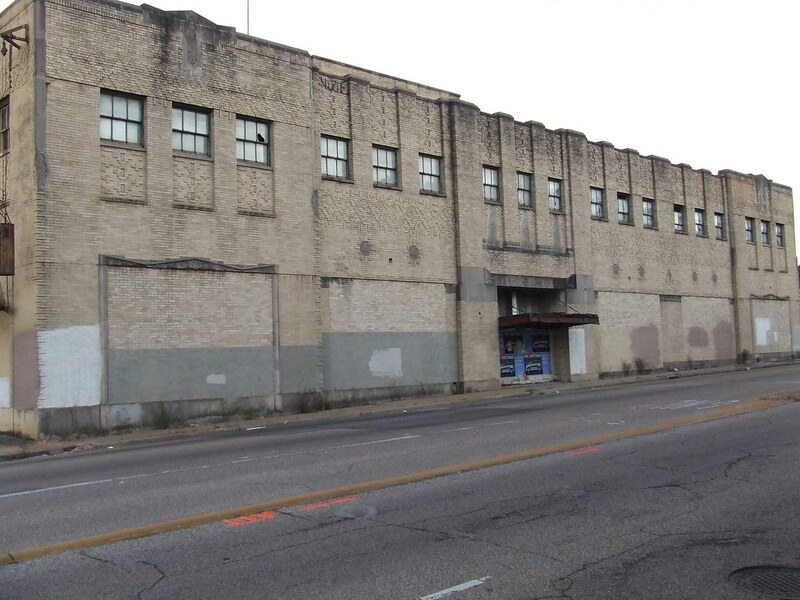 The Uptown Management District and its associated tax increment reinvestment zone, the agency rebuilding Post Oak, also would commit to an additional $15.9 million. The council is scheduled to meet and decide the issue on Oct. 27. The request has drawn ire from skeptics, who contend the two bus-only lanes planned for the center of Post Oak will ruin traffic patterns and draw few riders. Many have called it the latest transit boondoggle for the Houston area, which they say will end up costing taxpayers more and provide limited benefit. “This project is on budget and fully funded,” said John Breeding, the management district’s president. Breeding cast the request as a way to shift more of the funding to federal sources, freeing up local money for additional work related to the project. The dedicated bus lanes are part of a broader remake of Post Oak. The street will continue to have three lanes in each direction with turn lanes. Officials also are adding landscaping and large trees to provide shade, new pedestrian street lighting and wider sidewalks. The project budget remains estimated at $192.5 million, though some costs have fluctuated. I kind of can’t really tell what the fuss is about, since the project remains on budget, but then this is a rail-like project and not a road project, which means the rules are just different. As a reminder, the I-10 explansion cost a billion and a half more than we were originally told it would, and the I-45 project is going to cost billions, with overruns certain to happen as well. Somehow, that sort of thing never bothers the people who so vociferously oppose this kind of construction. Go figure. 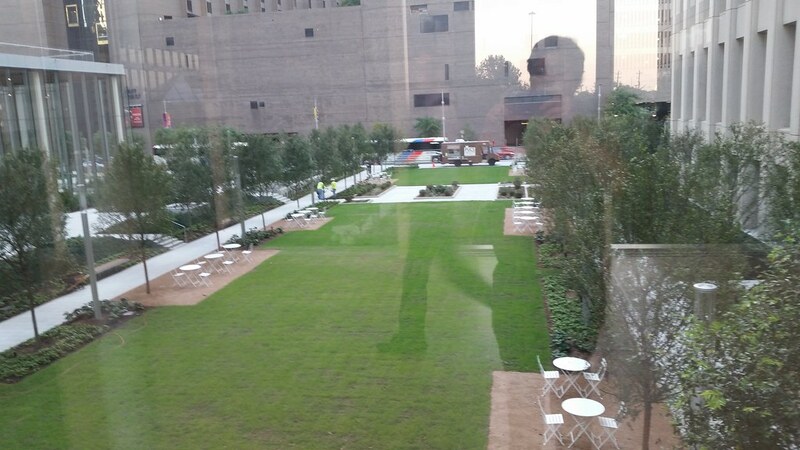 As park spaces go, Houston’s newest urban oasis is a mere postage stamp, occupying just over an acre of privately held land, developed with private money. But in post-Harvey Houston, the value of every inch of permeable green space suddenly seems more evident. Known as the Acre, the signature piece of Brookfield’s $48.5 million renovation of One Allen Center on the west side of downtown opens Monday. The park contains a wide-open plaza and a linear lawn that will seat up to 1,500 people for special events such as concerts. To squeeze out more space for the Acre, Brookfield reduced One Allen Center’s ground floor and re-created it as a “glass box” that will soon have a chef-driven restaurant with views of the park, helping to draw more people toward the space. “It’s almost like a give-back to the city: Taking building away to create an opportunity for outdoor space,” said landscape architect Chip Trageser, a managing partner with the Office of James Burnett, which designed the Acre and is consulting with Brookfield on the center’s master plan. The image above is a picture I took from the skyway leading into One Allen Center. I’ve been walking above the site of this park all through its construction phase, though I’d had no idea this was the intended purpose before the Chron story was published. It’s a cool thing to do – downtown can always use some green space – though I’m not sure how many people are just going to wander in and sit on a bench. The story says there’s going to be a restaurant going into the OAC building, so perhaps we’ll see more people using the new space once it opens. Whatever the case, I hope it’s a success. 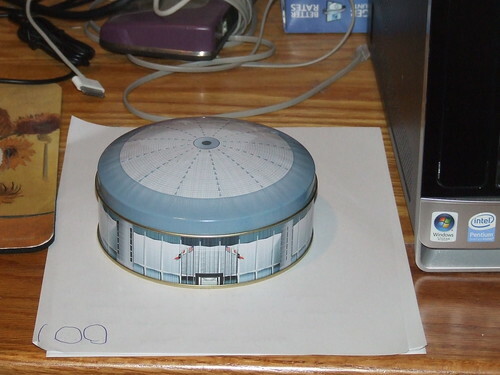 A few stadia, a little mission creep. Where has the time gone? As the Harris County Houston Sports Authority celebrated its 20th anniversary Monday night with a reception for current and former directors and board members, it moves into its third decade as a considerably different agency than the one that came into being in 1997. While the city-county agency continues collecting and distributing the hotel-motel and rental car taxes that funded the billion-dollar construction cost of Minute Maid Park, NRG Stadium and Toyota Center, its more visible function these days is as a sports marketing arm that hopes to bring another NCAA Final Four, an MLB All-Star Game, the Pan American Games and other events to the city. J. Kent Friedman, the board’s current chairman for more than a decade, jokes while that his predecessors – former Texas Secretary of State Jack Rains and Houston developer Billy Burge – presided over an eventful construction boom from the late 1990s into the early 2000s, his role is considerably less glamorous. “We’re like the folks with the broom walking behind the elephant,” Friedman said. It’s a pithy quip for a time frame that involves less flying dirt but still confronts Friedman and executive director Janis Burke with significant decisions and negotiations as the authority hopes to squeeze more years out of three buildings that are, in terms of their initial lease agreements, middle-aged. Basically, at this point the mission of this committee that was originally formed to get NRG Stadium (née Reliant Sstadium), Toyota Center, and Minute Maid (née Enron) Park built encompasses three things: Handling the bond finances for said stadia, negotiating lease extensions for the occupants of same, and trying to bring big sporting events to Houston. They’ve done a pretty good job with the latter, and I suppose if they didn’t exist some other organization would have to be formed to do that work. I hope they do at least as good a job with item #2, because I don’t want to think about what might happen in the event one of those venues is deemed uninhabitable by its tenant. So good luck with that. Vox points out what should be obvious. Unauthorized immigrants were crucial to rebuilding New Orleans after Hurricane Katrina. And they are likely to be desperately needed as Texas rebuilds to clean streets, demolish buildings, and reconstruct homes and offices. But it’s a hostile time to be undocumented in Texas. Even beyond the Trump administration’s harsh rhetoric and actions on immigration, Texas leaders are engaged in a crackdown on unauthorized immigrants, passing a slew of laws to make it harder for them to live and work in the state. In such an environment, these laborers might not stick around for the work that will be needed. The US unemployment rate, at 4.4 percent, is at its lowest level since the Great Recession started, and construction companies across the country have been struggling to find workers. In August, about 77 percent of US builders reported a shortage of framing crews and 61 percent faced a shortage of drywall installation workers, according to the National Association of Home Builders. If the story of rebuilding New Orleans after Hurricane Katrina is any indication, undocumented immigrants will be a crucial part of Houston’s recovery. That assumes a federal government and a state government that aren’t hell-bent on deporting them. If we’re lucky, we might get a bit of benign neglect and some court orders holding back enforcement of SB4. If not, well, I hope no one is in any rush to get their homes repaired. While I appreciate Lisa Falkenberg’s article about the undocumented rebuilding Houston, I’m still irked by the assumption by others that the only reason we need them (at this time) is for cheap, uninsured labor without worker protections. Especially when builders and contractors are the ones crying the loudest as they stand to make the most during the rebuild with this source of cheap labor. It goes back to why we need more than just a DREAM Act. We need the parents of DREAMers who make up this exploited labor force, too. They must be protected. They must be paid what they’re worth. They must be insured and have worker protections from bosses who will exploit them during these times. Because, suddenly, it seems they’re not taking someone else’s job; they are filling open jobs, if we let them. Getting the Houston area – and now Florida – rebuilt is a big priority, but there are larger issues that need to be addressed as well. Chris Tomlinson, Stan Marek, and Lisa Falkenberg have more. Much of northwest Houston used to be covered in prairie land, where tall grasses could absorb huge amounts of floodwater. But most of it has been paved over in the past two decades amid rapid development and a massive influx of people. Between 2000 and 2010, this part of Houston grew by nearly 70 percent to a population of 587,142 — equivalent to that of Milwaukee. Restoring or preserving prairie can’t prevent flooding altogether, but it can be a tremendous help in mitigating the damage. Some local officials flat-out disagree with this conclusion; they believe you can erect public works projects to catch and manage runoff — essentially fighting water with concrete — and don’t need more green space. But the vast majority of scientists believe the region needs to impose stricter regulations on those who want to develop prairie land. Just a reminder, because I see some variation of this – some more egregious than others – in every story like this one: The vast majority of this development and growth is outside the city of Houston. It affects the city of Houston, but there’s literally nothing the city could have done about it because it’s outside the city’s borders and ETJ. In the case of this story, I would note that while “the region” may need to impose stricter regulations on development, there is no “regional” authority to do that. Now, let’s be honest enough to admit that even if we had all the green space we had thirty years ago, there’s only so much to be done about nine trillion gallons of water being dumped on you. A storm this size was always going to be a catastrophe, it just might have been a slightly smaller one if we had been smarter and perhaps a bit luckier. We can’t undo what has been done, but we can be more specific about just what paved over these former wetlands. Torrential rains that flooded hundreds of northwest Harris County homes last week reinforced long-standing worries that development on the Katy Prairie could make future floods more frequent or more severe. Development encouraged by a planned segment of the Grand Parkway connecting Interstate 10 to U.S. 290 threatens to diminish the environmentally sensitive prairie’s capacity to absorb floodwaters, said Jim Blackburn, an attorney representing the Sierra Club in two related lawsuits. “The Katy Prairie, for decades, has been our sponge,” Blackburn said, noting that the prairie also provides valuable wetlands and wildlife habitat. Tension between development interests and environmental and neighborhood groups surfaced in the Sierra Club’s 2007 lawsuit challenging flood plain maps for the Cypress Creek watershed, which encompasses the area where last week’s floods were most severe. The organization has filed a separate lawsuit challenging the parkway. The developers of the Bridgeland master-planned community intervened in the case last year, seeking to prevent an expansion of flood plain boundaries that would require the company to take expensive steps to offset increased runoff downstream. An executive of Bridgeland GP, the company developing the 11,400-acre community, said in a Jan. 9, 2008, affidavit that the revisions sought by the Sierra Club would cost the company $28 million in flood mitigation measures that would “adversely affect” the development. Despite the company’s efforts, the maps are being redrawn under U.S. District Judge Lee H. Rosenthal’s supervision. Rosenthal has stayed the lawsuit until October to allow time to complete the maps, but officials said they aren’t certain when the task will be finished. Preliminary revised maps shown to the Houston Chronicle by Blackburn and the Harris County Flood Control District show a significant expansion of the flood plain in an undeveloped western segment of Bridgeland’s property and a reduction of the flood plain in other areas. Over the decades, this 1,000 square mile sanctuary has largely survived the encroachment of farmers and relentless development pressure from neighboring Houston, thanks in no small part to its dedicated supporters. But the Katy Prairie has never faced a opponent like the Grand Parkway before. Piece by piece, the Houston area has been building a third — yes, third — bypass for the region. And much to the horror of local environmentalists, the next segment is planned to directly bisect this extraordinary habitat. Billy Burge of the Grand Parkway Association says right now there isn’t much need for Segment E, in terms of traffic. Burge and his colleagues don’t shy away from the fact that the project will generate more car trips and sprawl. In fact, they have what you might call a “build it and they will come” philosophy about road-building and traffic. To hear Burge and his colleagues at TexDOT and Harris County tell it, they are simply trying to get out ahead of what they see as inevitable: sprawl, on top of sprawl, on top of sprawl. But not in a bad way, they say. If you want to see what will likely replace the switchgrass and wildflowers of Katy, look to the Bridgeland development. This massive, 12,000-acre “new urbanism” development, where homes sell from $160,000 to north of $1 million, stalled in the real estate crisis. Since then, developers have stepped up pressure on local authorities to bring forward highway infrastructure needed to jump start sales. Anything that we can do to protect and restore the Katy Prairie going forward, we must do. I hope that the scarring experience of Harvey will put enough political pressure on the people who can do something about this to take action. But one thing we can’t do is decide not to build the Grand Parkway. It’s too late for that. This time it’s different, more or less. The region’s largest looming highway project – a massive rebuild of Interstate 45 from the Sam Houston Tollway to downtown Houston – has a lot of people looking into the rear-view mirror, pressing officials to make sure the job does not come with some of the downsides of its predecessors. Even with the worries, however, the mega-project planned by the Texas Department of Transportation hasn’t been like many others, from the time it has taken to develop to the types of new lanes proposed. Though often characterized as a bureaucratic behemoth, the state transportation agency has gone to unprecedented levels of public engagement the past three years, taking the designs for adding two managed lanes in each direction to public meetings, community groups, even sitting down with interested stakeholders for one-on-one meetings. Though the goal of many of the proposed changes is to tear down barriers, notably the Pierce Elevated, previous Houston freeway projects around downtown – including Interstate 10, Loop 610 and U.S. 59 – have left some neighborhoods cleaved. The north side, also divided by Buffalo Bayou, has not enjoyed downtown-centered investment as much as Midtown and the Fourth Ward. Bellaire residents and leaders still have bad feelings over how Loop 610 cut through the small city. Drivers do not want that to happen with the I-45 project, which officials have called a generational project that commuters still could be using 40 years from now. Cutting off neighborhoods or restricting transit options could have devastating consequences. “The easiest way to destroy a neighborhood is to divide it,” said Seth Hopkins, who lives at Emancipation and Polk, where residents worry they will lose easy access to downtown if Polk and other streets are cut off by the freeway. There’s a lot more, so go read the rest. I’ll agree that TxDOT has done a pretty good job taking its time and listening to feedback about the project. I suspect one difference between this and the Katy Freeway widening of 15 years ago is that project had a lot of pressure, from John Culberson and the Harris County Toll Road Authority, to get it done, while the pressure in this one is to slow down and not break anything. But for all that, at some point ground will be broken and people who live and work in the targeted area on the east side of downtown will be affected in ways we don’t know yet. It’s going to be a huge mess, one that may take a decade from start to finish. I appreciate what TxDOT is doing now, but there’s only so much that can be done to soften the impact of this kind of project. Swamplot is here to help. HAVING TROUBLE SIFTING through some of the massive freeway jumbles in the latest plans for that major I-45 reroute between Downtown and the Beltway? This new video (making the rounds this month as TxDOT hosts a set of public meetings to chat about the project) may or may not help you out. The 10-minute animation shows off what the project plans look like in multicolored, car-spangled 3D action, dragging viewers slowly along the entire project route from Spur 521up to Beltway 8. The project plans pull 45 over to the east side of Downtown, to line up alongside US 59 and dive underground behind the George R. Brown convention center. Various flavors of new express lanes, managed lanes, managed express lanes, and connectors weave into and out of a massive new 45-59-10 junction as shown above, all labeled by color. There’s a ton of documents and downloadable videos, some of which are embedded at the linked post, at the I-45 project website. About the only thing I’m grateful about my upcoming office move out west is that I won’t have to deal with this horror on a daily basis. Personally, I have a hard time believing that any gains in improved traffic flow will outweigh the costs of executing this massive boondoggle, but maybe that’s just me. Additional views of this colossus from Swamplot are here, and the Chron has more. The I-45 Project – Planning Stage is coming to an end! This next meeting is a HEARING – much different from the public meetings that TxDOT has been holding. This HEARING is the last meeting where the public will be heard! After a short comment period following the hearing, nothing else will go on record on the project. As a quick summary, there are 3 Segments involved in the project – Segment 1 (610 to Beltway 8); Segment 2 (610 to I-10) and Segment 3 (the Downtown Loop). We are currently in the final year of an approximately 12-year planning phase. TxDOT has held 4 public meetings – in 2011, 2012, 2013 and 2015. Part of this project, is the re-routing of I-45 at Pierce Elevated and moving it to be coincident with I-10 on the north side of downtown and coincident with US-59 on the east side of Downtown. Directly east of George Brown Convention both US-59 and I-45 will be below-grade. This is a major project that is estimated to cost between $6 Billion and $7 Billion, WITHOUT right-of-way costs included. I am part of the I-45 Coalition, which is an all-volunteer group that was formed to address issues related to the planned construction of I-45 and to work with TxDOT to ensure that the pending construction comply with these 3 tenets: (1) No expansion beyond the existing right-of- way (2) Alternative means of transportation must be explored (3) No negative impact on the neighborhoods quality of life. We have not been very successful in these 3 tenets…but we have helped improve the project. I received notification of the meetings in the main on Wednesday. The images embedded in the post are from the I-45 Coalition’s Facebook group. I can’t quite make out the context, so I guess I’ll have to go to the meeting. The www.ih45northandmore.com webpage now has the meeting notice on it, and the Draft Environmental Impact Statement is available as well, if you want a little light reading. If you use I-45 north of downtown at all, you should probably make plans to be at one of these meetings. There’s no next chance to give feedback after this.